Think Billy Connolly’s voice and you will have the accent right. Make this your year for Personal Growth. Demand more of yourself and motivate yourself with a set of clearly written inspiring goals. Click on our 4 part Goal Setting and Achieving Workshop in Inspiring Resources opposite to access a process that has transformed lives over the last 25 years. CARPE DIEM – Sieze the day, it might be mid January but its never too late to start setting your Goals and Achieving them with MindStore. Thank you for making the time to read this and I encourage you to look into our mental tools for improving performance for you personally and for those in your organisation who you feel would benefit. 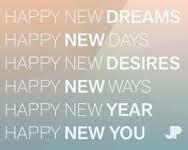 Have a Joyful January, embrace a “can do” attitude and create a fantastic 2015 for yourself and those you care about! Did you know that the extraordinary Sydney New Year’s Fireworks marked the start of the International Year of Light in Australia? What are you going to do this year to shine your light personally and professionally? What Goals will you set and achieve to be a shining light of inspiriation, leadership and motivation in your home and workplace? Why do you want 2015 to brighther year than 2014? Take control of 2015, demand more of yourself, be extraordinary! At MindStore we are passionate about helping everyone to rekindle ways of thinking to improve your performance from Ordinary to Extraordinary,so think about contacting us to be involved in your next Learning and Development event. Imagine your organisation full of people with vision, passion and energy? Everyone knows about Goal Setting, but how many have taken part in a Goal Setting and Achieving Workshop? Setting goals is an easier process than making sure you achieve them. That is where MindStores tools excel. Feel free to get in touch if I can help you with any parts of this workshop. Do Be and Have more in 2015! We will continue expanding on the tips in upcoming issues around setting and achieving your goals for 2015 and beyond. Demand more of yourself and make a huge leap forward in your personal growth and professional development this year with MindStore’s help. 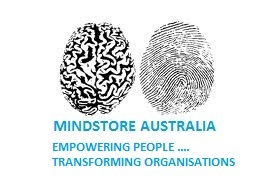 What is the MindStore System ? It is a complete mental tool kit giving you and those in your organisation the best techniques for managing stress, developing resilience, maintaining a positive mental attitude as well as setting and achieving huge goals in your business and personal life. We provide customised in-house business performance improvement, leadership development and personal development programs in partnership with our clients future vision. Our delivery method inspires motivates and encourages changes in thinking. Engaging and fun from the outset our practical tools are learned, practised and taken away to use immediately after the course to reinforce the desired changes. The success and long term effectiveness of the MindStore approach is best exemplified by the 500,000 global participants and the hundreds of companies who have engaged us in the past 25years. What are the Benefits of using MindStore? 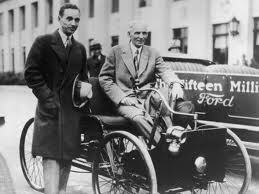 Ordinary to Extraordinary Performance Improvement. We know that organisations of all sizes are made up of people. When we share MindStore’s tools with people to empower them to improve their performance both professionally and personally from Ordinary to Extraordinary, then the resulting improvements for the organisation in performance, retention, productivity, staff turnover, profitability, competitiveness, creativity and innovative thinking will be clear to see. When is best time to engage MindStore? All organisations and their employees face constant change. “Carpe Diem” Seize the day. Now is the best time to meet us for a review of how we can partner with you to achieve the improved performance results you require.